On a personal level, no word resonates more with school librarians than “indispensable.” It’s what most of us believe we are, what some of us fear we aren’t, and far too many feel is not recognized by administrators, teachers, parents,—and legislators. The bottom line is, we ALL must believe it, demonstrate it, and do so in such a way that our stakeholders believe it as well. To be your library program’s silent partner, keeping you informed, inspired, and invaluable – a leader in your building – indispensable to your students, teachers, administrators and community. 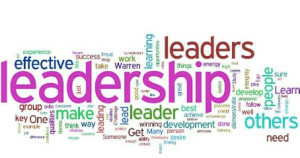 The key word, of course, is “indispensable”, but the operative word is “leader.” One sure way to be recognized as indispensable is to be seen as a building leader—an integral part of the educational community, working with all components to achieve the results they want effectively and efficiently. The first step is to know what makes your school library program and your role within it unique. You must provide a service or solution to others’ problems that no one else can do. Can you identify what unique skills and knowledge you bring? If you can’t do it, no one else can. Posted infographics can be one way to get the message out. This pin by Joyce Valenza and Gwyneth Jones http://www.pinterest.com/pin/438678819923058694 and this slideshare from Jennifer LaGarde (Library Girl) http://www.slideshare.net/jlagarde/librarians-are-ready can get you started. Search for more on Google images—and then create your own. If you are unsure how to do it, look for an article on it in the upcoming December 2014/January 2015 issue of School Librarians Workshop. Infographics alone won’t help if you are not delivering. Look at what contributions they highlight. Do you do these? If you don’t, why not? How can you integrate them into your program and then get the word out. Many successful school librarians are creating LibGuides available to parents as well as those for students and teachers. These aids, available 24/7, promote your program and how you are integral to student learning. One of the participants in my recent e-course Being Indispensable: A School Librarian’s Guide to Proving Your Worth and Keeping Your Job is heading up a School Librarian Interest Group for NEFLIN (Northeast Florida Library Information Network). 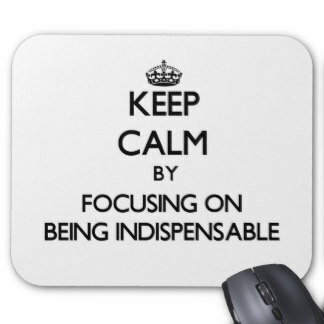 For this year their word is “Indispensable.” You might want to adopt the idea. Focus on all ways you can demonstrate you and your program are vital and Indispensable. ‹ Milestones – What are yours?